You’ve probably heard about white-nose syndrome if you’ve taken a tour of any Kentucky caves recently. This fungus has already killed millions of bats throughout the United States. Perhaps you know that the two self-guided caves at Carter Caves State Resort Park are closed to the public to try to help these tiny mammals survive. You may be wondering, what does this have to do with keeping my lights on? What does the health of a little animal that sleeps in caves have to do with the future of electricity? 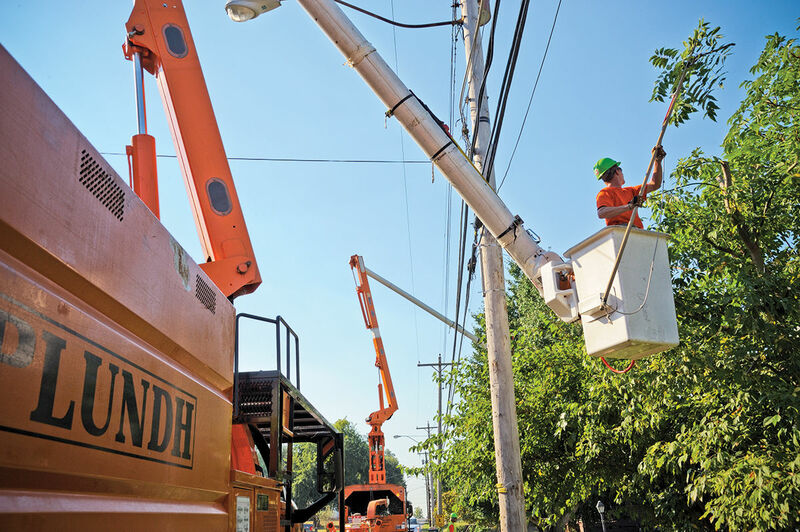 Bats and electricity are connected because of the way dangerous trees are cleared away from power line corridors to keep electric service steady and reliable. Two separate federal agencies with very different goals—one dedicated to reliable electric service, the other dedicated to protecting plants and animals—must figure out a way to do both without harming either. Certain kinds of bats don’t sleep only in caves. Although white-nose syndrome is spread during the winter months when bats gather in caves to hibernate, many of the bats that survive have a very different lifestyle the rest of the year. During the summer, some kinds of bats sleep snuggled in the tiny spaces between the peeling bark and limbs of dying or dead trees. Those old trees are very important to the life cycle of these bats, providing a place for them to raise their young. And that’s where the problem begins. A federal agency, the North American Electric Reliability Corporation (NERC), says that electric utilities must follow very particular procedures to maintain reliable electric service by keeping power line corridors clear of vegetation. NERC’s rules include details about how close and how tall shrubs and trees can be to power lines and support towers. But NERC standards don’t just include living plants. They also require electric utilities to remove dead or dying trees that could fall onto power lines and disrupt electric service. Now new rules recently proposed by the U.S. Fish and Wildlife Service to protect the bats and all the places they live could drastically change all that. It might become illegal to cut down a tree that a bat would want to use. It’s a case of one agency saying, “Do this,” and another agency saying, “Don’t even think about doing that!” Figuring out which rule to follow would put electric utilities in a bind. Which term to apply to a particular kind of bat lies at the heart of today’s conflict. The population of the northern long-eared bat (Myotis septentrionalis) has fallen to such low levels due to the white-nose syndrome’s devastation that the U.S. Fish and Wildlife Service believes it should be listed under the federal Endangered Species Act. One early proposal recommended the highest level of concern, using the word “endangered.” That could make it illegal any time of the year to disturb the dying and dead trees this bat uses in the summer. That would have a drastic impact on electric utilities’ procedures for keeping power lines clear of dangerous vegetation. Last fall, the National Rural Electric Cooperative Association warned the House Natural Resources Committee of the United States Congress about the effects listing the bat as “endangered” would have on reliable electricity in the service territories of hundreds of co-ops in dozens of states. For now, the bat is considered “threatened,” and a special provision known as the “interim 4(d) rule” would allow utilities to continue to remove dangerous trees. But this is only a temporary measure until the U.S. 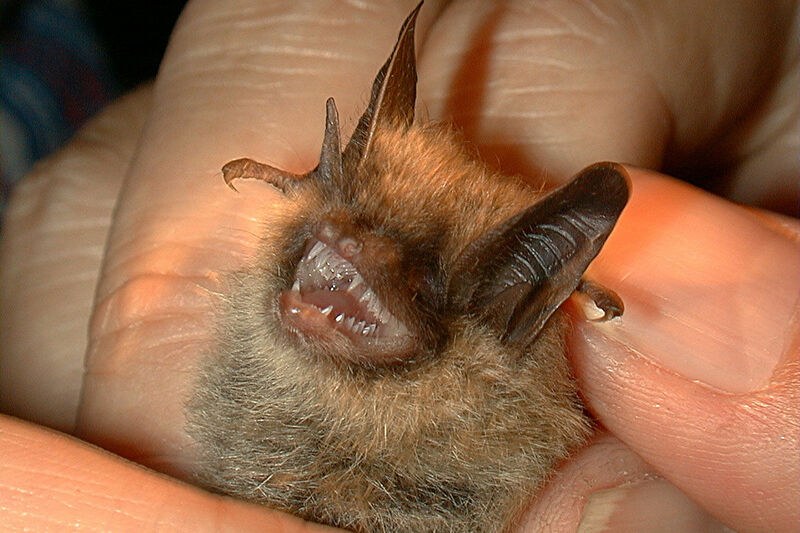 Fish and Wildlife Service announces a final listing term for the bat. The potential for conflict between the goals of keeping the lights on and keeping the bats alive is so great that the time period for public comment on the new rules has been extended until July 1, with a final ruling announcement expected by the end of this year.